This was one of those days where we went from one incredulous experience to the next. Reminiscent of Planes, Trains and Automobiles, I wouldn’t have been surprised if at some point we had to take a flying carpet to our next destination. Mind you, we had meticulously planned our excursion well in advance, or at least so we thought. Climbing up to Mont Blanc from Chamonix. 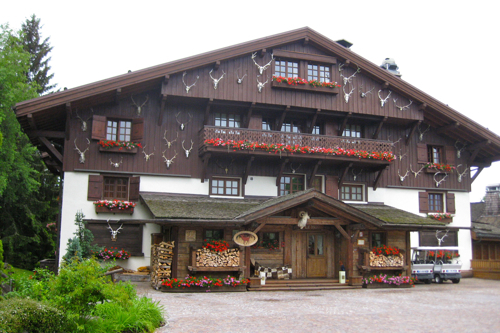 We were staying in Chamonix, France for a few days and wanted to take a daytrip to visit where I had first worked in France in 1997 at Le Chalet du Mont d’Arbois, a Relais & Châteaux property high in the Alps overlooking Megève, a little ski village. 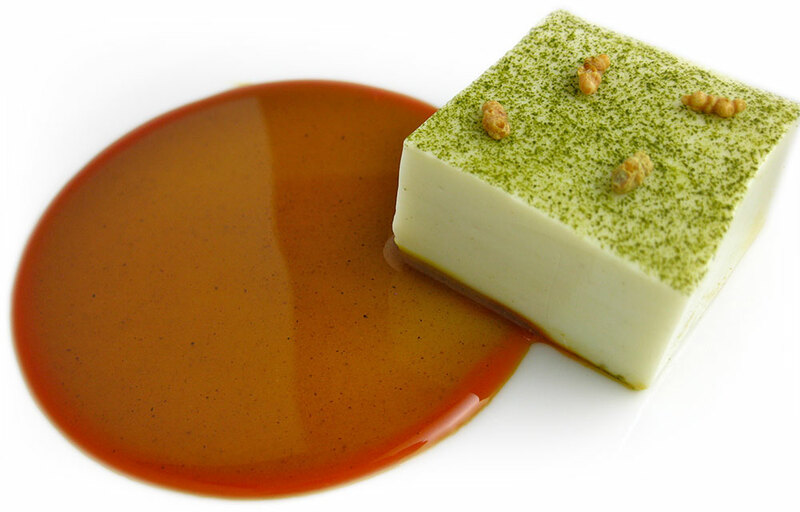 (Coincidentally, this restaurant just won its first Michelin star in the 2014 Red Guide.) 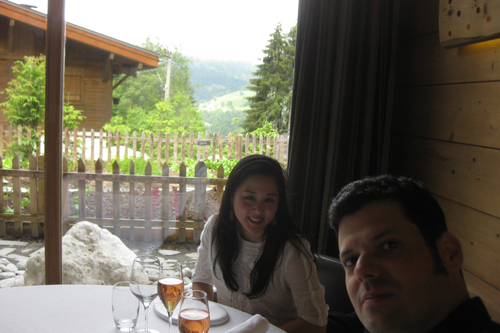 Following our visit to the Chalet, we had lunch reservations at the three-Michelin-star Flocons de Sel, a recommendation from my chef at Pierre Hermé. 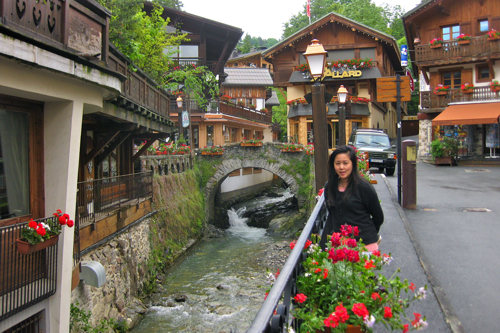 Strolling around the village center of Megève. 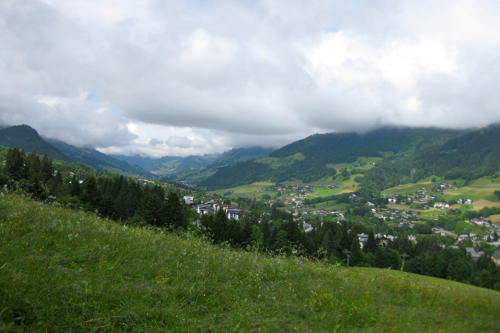 Looking down to Megève as we drove up to the Chalet. I was becoming increasingly concerned by 7:10 when we had not yet left. But I thought surely they know people have connections to make, especially since there was only one bus daily making this route. Without notice, to bus jolted and snaked along the narrow road to Saint-Gervais-les-Bains. As I had predicted, we arrived ten minutes late. I anxiously asked the driver where to find the bus to Megève. He lazily pointed toward the ticket kiosk where a lady in the window scolded me that I just missed it. I explained I had just come on the bus from Chamonix, which was scheduled to meet this bus going to Megève, but she simply reiterated the blatantly obvious fact that I had missed it. The sign for the Chalet letting us know we’ve arrived. She said there was another bus coming soon and to just sit and wait, which was contrary to the posted schedule. After half an hour, a bus pulled up with the driver jumping out to discuss something with the woman. I interrupted them to ask if he was going to Megève. They simultaneously answered differently: the driver said he WAS going there, while the woman said he WAS NOT going there! At this point I wasn’t trusting this woman whatsoever and simply got on the bus anyway, without any objection from the driver. However, the woman was adamant this was not the right bus and the driver shooed us off in frustration and sped off. She said the right bus was coming and to just sit and wait… some more. After another half an hour, the woman couldn’t even give me a time when this bus was coming, and after some reflection, finally remarked that we should have been on that bus which she told us not to get on. In my utter disbelief, I demanded to know why she didn’t let us get on, despite the fact the driver himself said he was going to Megève. 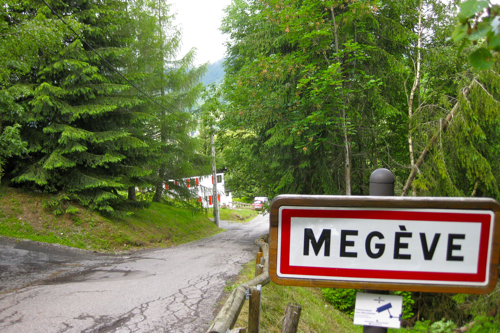 She said we had asked to go to Megève and that bus was going to Combloux first, on route before going to Megève. I was absolutely dumbfounded. She apologized, in that completely insincere way only a French person can, and told us to come back tomorrow for the right bus. I demanded my money back for the ticket and requested a taxi. 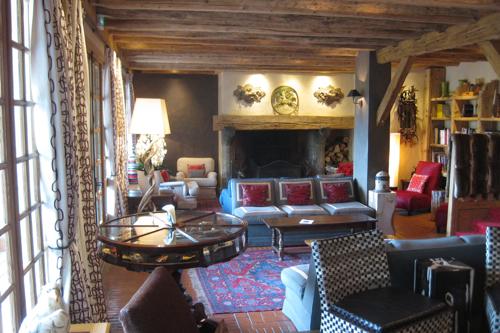 The beautiful rustic Alpine lounge in the Chalet. 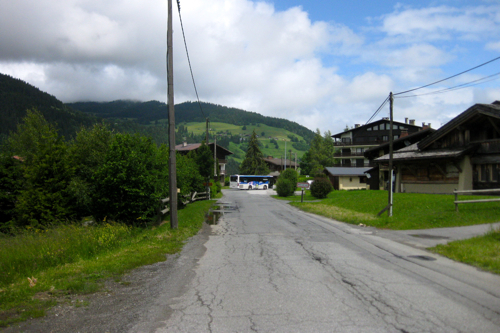 We finally arrived in Megève after our forty-five-minute trip had evolved into three hours. The beauty and serenity of the village came flooding back, even after sixteen years, with little seeming to have changed. 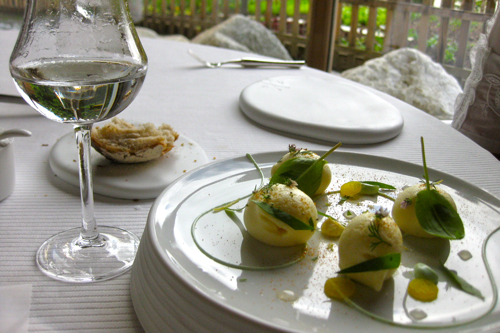 I had asked the taxi driver to take us up to Le Chalet du Mont d’Arbois, since our time was growing short before our lunch reservation. He scoffed that he was already going well out of his way – a full fifteen-minute drive – and that he would only take us to the village center. I knew this was nonsense since I had regularly walked from the Chalet in to the center of town when I lived there, but I just couldn’t remember the exact route through the mountainous forest. This cabin was my home, as well as all of the other staff, while I worked at the Chalet. 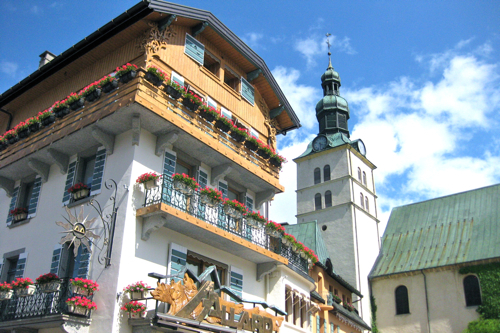 As we wandered around the town center of Megève, I inquired how to get up to the Chalet and was told about a shuttle. After a fruitless search for coffee, we decided to make sure we were well on time for the shuttle. We went to the bus station and although we saw the shuttle, there was absolutely no one to be found. I asked a random man about the shuttle, to which he replied he was the driver. We immediately got on, paid our fare, and then the three of us sat there in silence. Then, without anyone else getting on board, nor anyone else in sight during the entire time we waited, we drove off. We sped up a steep incline from the village center. True to form, the closest shuttle stop was not near the Chalet and we had to backtrack about fifteen minutes on foot. During our decent back down into Megève. When we finally arrived at the Chalet, I mentioned I used to work here many years ago and just wanted to look around and have a (long-awaited) coffee in the lounge. It really brought me back in time to be here again. In 1997 I had arrived completely alone at the age of twenty, knowing very little French, and it felt like the end of the world. I felt like I was bringing this experience full circle by showing it to Ginhee, for whom this had only been some fairy tale. Now we were both standing at the address that she had written all those letters to me long ago when we were first dating. After a brief tour, we sat down in the lounge to have our coffee. We sat and waited… and waited. I dozed off, only to be awoken by a pillow thrown at me. I quickly sat up to Ginhee saying we should go, since that coffee was simply not coming and we were nearing our lunch reservation. 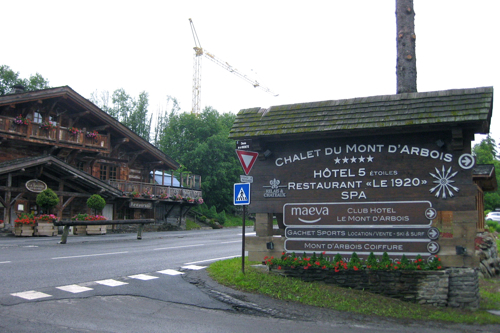 As we departed the Chalet, the manager who had taken our coffee order came speeding by us in a golf cart, slammed on the breaks skidding several feet, and asked how our coffee was. I told him it was great and thanked him as we left. Mountains trap the clouds until the sun dries them out later in the afternoon. 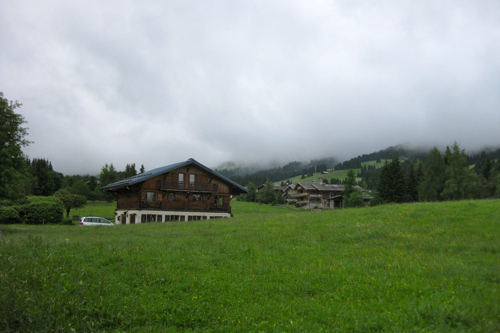 We hiked along the winding mountain road to where I had stayed in the restaurant’s staff barracks, since from there I knew how to get back down into Megève and then we could catch a taxi to Flocons de Sel. 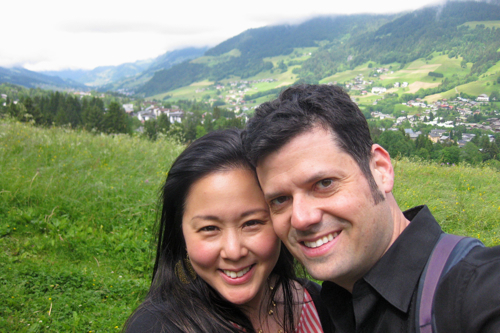 Our steep descent into town took us past babbling brooks and breathtaking vistas of the French Alps. As we arrived into the village, we went straight to the taxi area, but there was no one there. In desperation, we went back to the bus station and ran into the same shuttle driver who had taken us up to the Chalet earlier. He happily called a taxi for us as I handed him a paper with the restaurant’s address. As he read the address to the taxi, he said to me as an aside that he could take us there himself since it’s on his route. I immediately agreed and he excused himself off the phone. Ginhee, however, was dubious whether he would really take us to the restaurant. Nonetheless, she discreetly changed from her hiking attire into her haute cuisine lunch outfit. Crossing the town line during our steep decent. We were driving along as the shuttle stopped at every single bus stop, even though there was never anyone waiting for the shuttle and he already knew our final destination. Unexpectedly, an elderly woman got on with us. 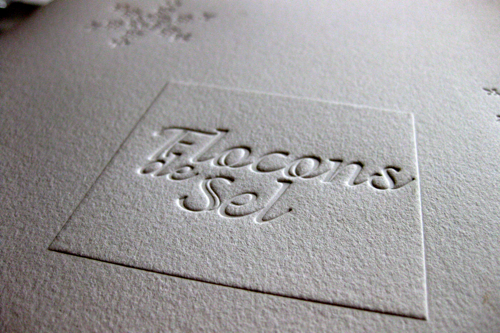 The driver casually asked her if she knew where this restaurant, “Flocons de Sel,” was. “Oh my god!” was all I could think. The look on my face lead Ginhee to ask what was going on, but I couldn’t bring myself to tell her that the driver indeed had no idea where the restaurant was. 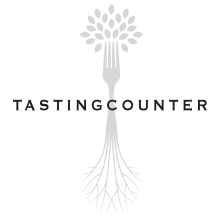 The woman expressed she had never heard of the restaurant, so the driver stopped and leaned out his window to ask a passerby. The local gesticulated wildly and then we were on our way again. The driver then told us, very matter-of-factly, that the next stop was the end of his route and we will have to walk from there. Our shuttle bus departing after it left us in the middle of nowhere. Once again, for the umpteenth time that day, I was in complete disbelief about our situation. Despite the beautiful rolling green hills and towering mountainscapes around us, we felt helpless as we arrived at the final stop. By now we were several minutes past our lunch reservation so I inquired how far of a walk it would be. “Oh, about two or three kilometers,” he replied. Ginhee kept asking me what he had said, but all I could translate was, “Put your hiking shoes back on.” I asked the driver to please call the restaurant to at least tell them we were on our way, and in frustration started out on another, albeit unintended, hike. 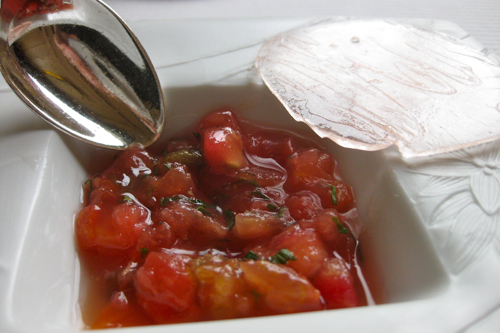 He called after us that the restaurant would send a car to find us, which however promising it sounded, I was highly skeptical of, taking into account the events of that day… and it was only noontime! 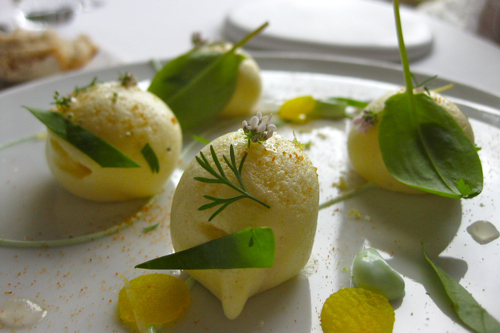 The menu at Flocons de Sel was a welcoming sight. After walking for a short time, a small van emerged from the distance. With no one else walking on the road and no other vehicles driving, it was obvious we were destined for each other. 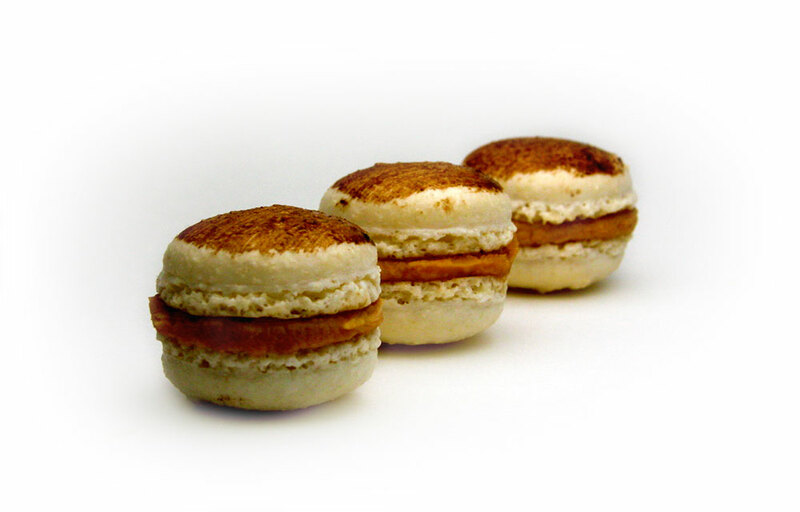 We were warmly greeted, with that famous three-Michelin-star service immediately bestowed upon us. When we finally arrived at the restaurant, we were only twenty minutes late, a miracle in light of our countless traveling debacles. 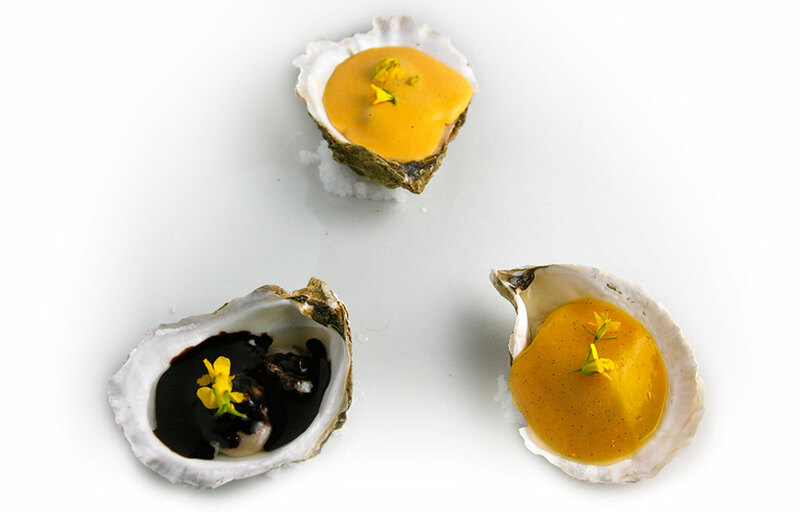 Nevertheless, our appetites were piqued more than ever for a great meal. Toasting our long journey, with the restaurant’s garden in the background. A true departure from the incompetence we experienced during most of our morning, we were whisked into the tranquil serenity of Flocons de Sel and luxuriated for the next four hours over an incredible meal. 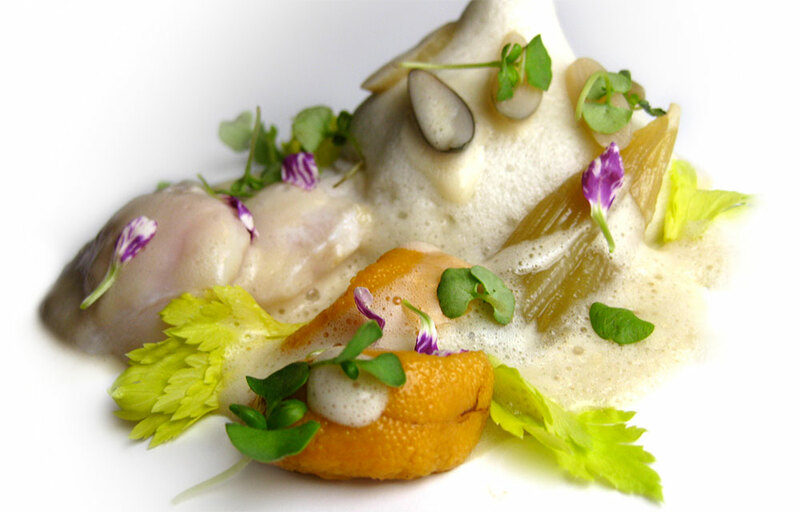 Once we were finished, I was able to meet Chef Emmanuel Renaut in the kitchen to thank him personally. 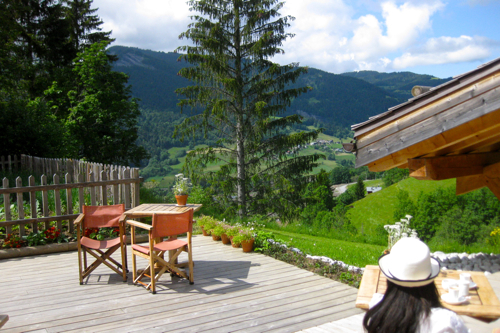 I mentioned how I worked at Le Chalet du Mont d’Arbois many years prior and got to name-drop for a moment. 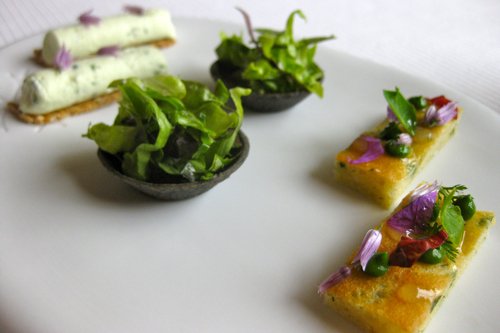 A medley of hors d’oeuvres. 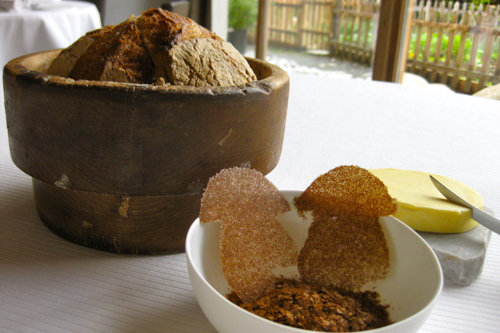 Fresh bread, fresh butter, and chips of dried cèpes. 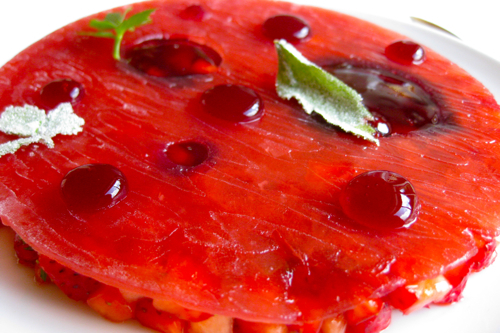 Tomato salad with tomato ice. 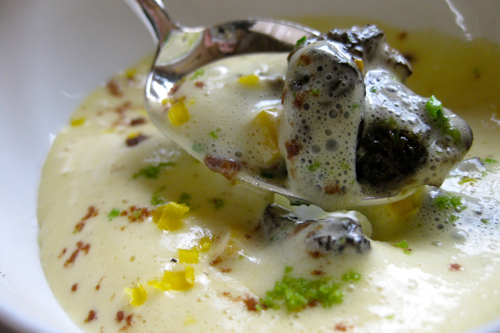 Morels in a mushroom cream sauce. 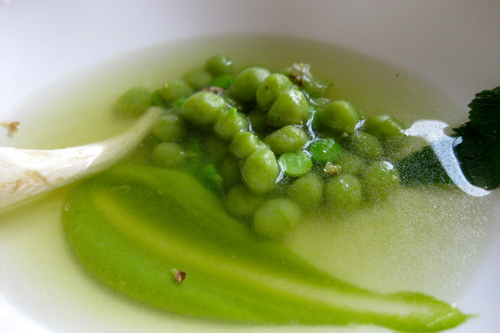 Fresh peas and pea gnocchi in a wild root vegetable consommé. 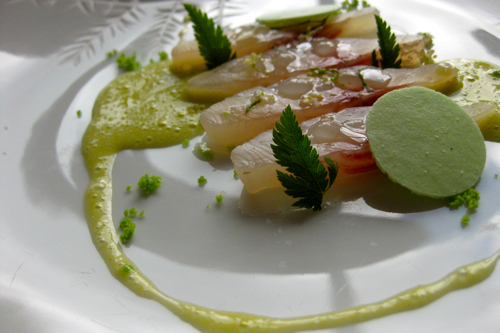 Local lake bass with an herb emulsion. 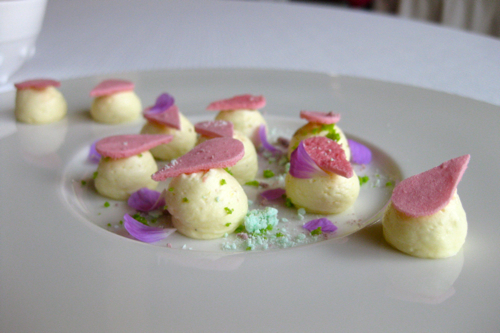 Elderflower eaux de vie with the langoustine dish. 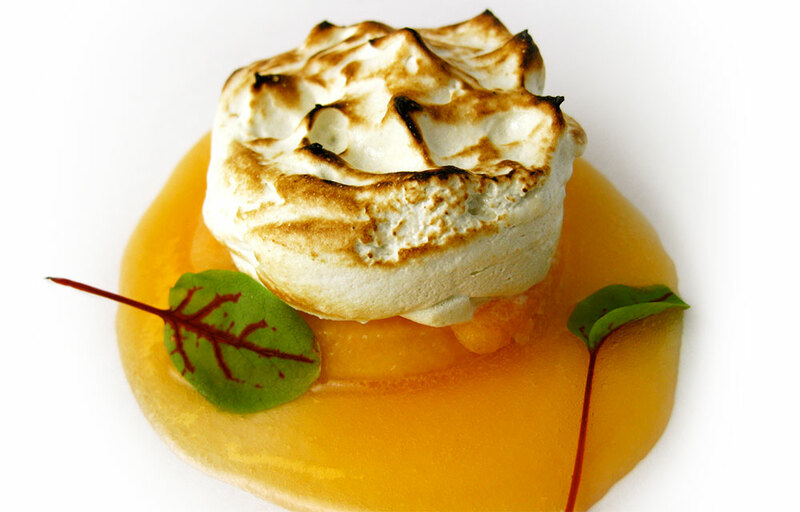 Langoustines enrobed in a saffron meringue. 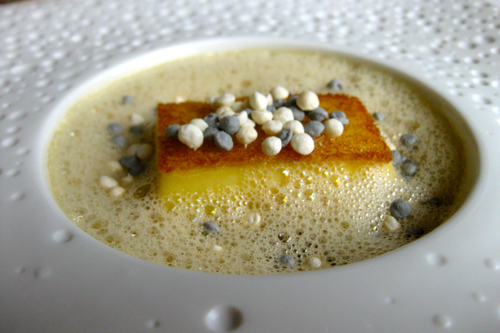 Crayfish custard with toasted bread. 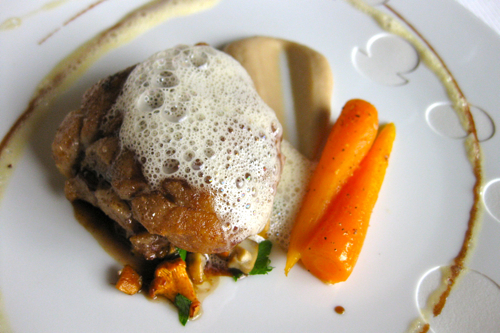 Sweetbreads with chanterelles and carrots from their garden. 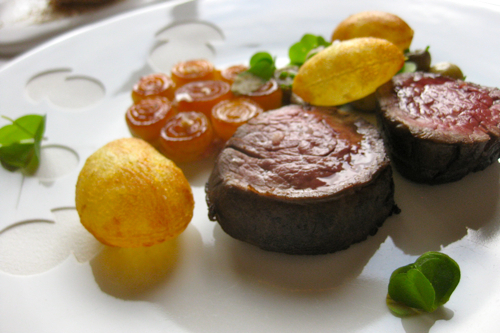 Beef with pommes soufflées and caramelized onions. 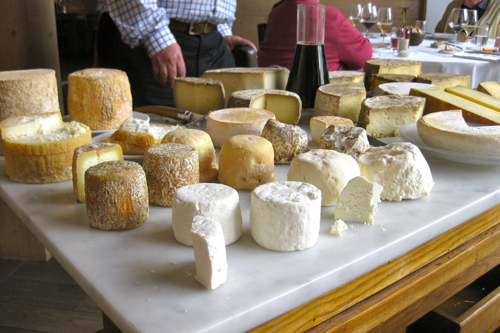 Cheese cart with only local cheeses from the Savoie region. 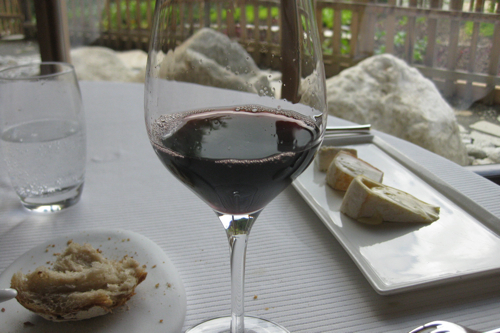 Vin noir, steeped with herbs and spices, to go with the cheeses. 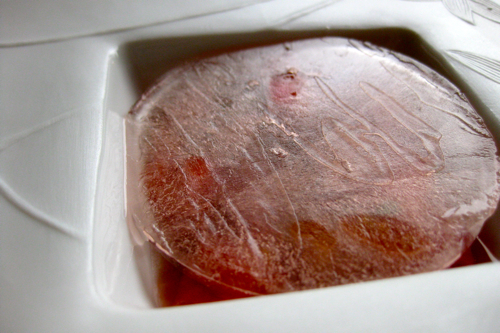 Wild strawberries with strawberry ice and gel. 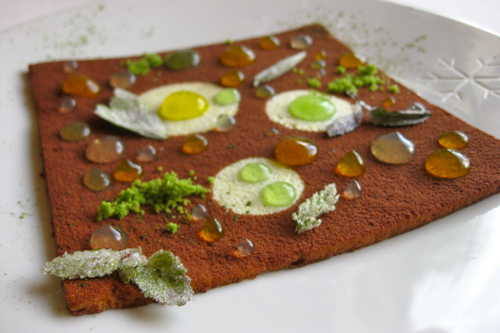 Chocolate with various flavored gels and crystallized herbs. 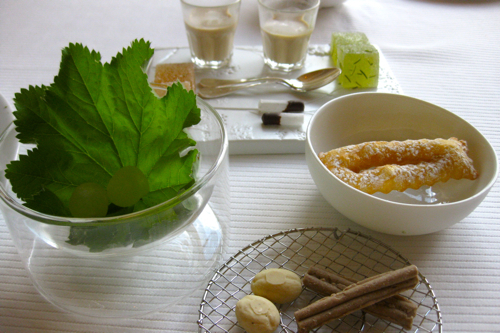 A vast selection of mignardises. 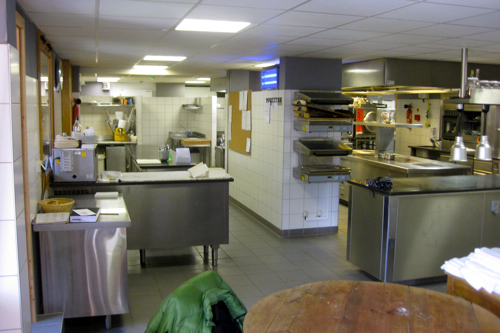 A peek inside the kitchen at Flocons de Sel right after service. We were finally able to enjoy our long-awaited coffee after lunch on the terrace. Our time was short and Ginhee and I had to leave for the last bus back to Chamonix. 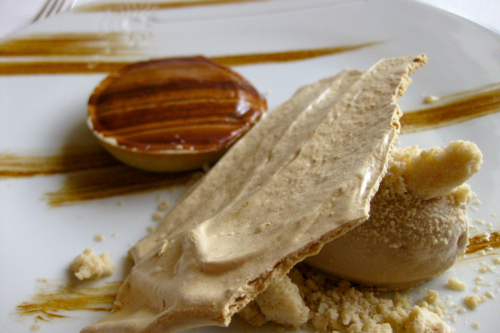 The staff at the restaurant happily drove us – all the way – back to the center of Megève. With a little extra time on our hands, we strolled around the village before heading back to the now seemingly infamous bus station. 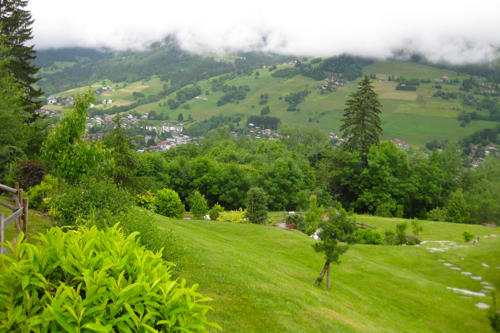 The sun had finally dried out the cloud cover over Megève as we strolled around once again. Since we were early, we were in no rush as we approached. 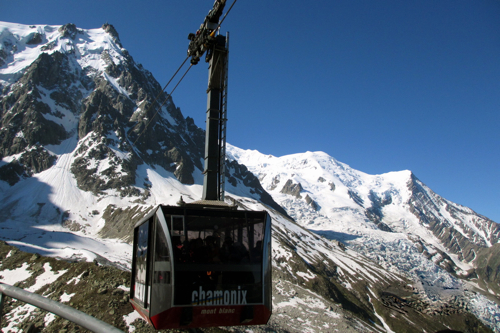 A driver standing by a bus yelled out to us, “À Chamonix?” “Oui!” I responded as we quickened our pace. He took our tickets, we all boarded, and the bus immediately sped off. I double-checked my watch. The bus had left ten minutes earlier than scheduled. Our day had truly come full circle… I guess he was trying to make up for lost time.